Mainstream media immediately reported on how this change in government impacted markets. The new government, however, has attempted to highlight the plight of the Greek people. It says that austerity measures first imposed by the International Monetary Fund (IMF) and European Central Bank (ECB) in 2010 have left the country facing a “humanitarian crisis”. Since then, just over five years ago, the Greek economy has shrunk 25 per cent, wages have dropped similarly and youth unemployment has risen 60 per cent. Protests, general strikes and riots have rocked the country during that period. In addition, Greece has seen a rise in nationalism and neo-Nazism as anti-immigrant sentiments have risen. Now, just over two months since coming to power, the new government is aspiring to tackle these problems and uphold its promises of change. Chris Spannos, host of teleSUR English's Imaginary Lines, interviewed Antonis Markopoulos, member of the coordinating secretariat of the foreign policy and defence department of SYRIZA, on what their plans are to address some of these issues. Below is an advance transcript of the forthcoming video interview. The Interview was conducted March 18 at SYRIZA's party headquarters in Athens, Greece. Chris Spannos: How does it feel to finally be in government , and what is it like now, after almost three months in power? Antonis Markopoulos: It is a wonderful feeling. It is something that I have been waiting for the last 41 years, since 1973 when I joined the leftist movement, when I was only 15 years old. At this moment being in the government means that I am in a government that has a very broad support from the Greek people, the support of at least 72 per cent of the people. It is a wonderful feeling. It is something that makes me feel very enthusiastic. And, it makes me feel that I am in a government of the whole people. The first priority that we are right now facing in the government is to manage to successfully conclude our promises, the promises we made before the election. We would like to do this over the next two years, and — if it is possible — the key parts of the program in the next four months. The purpose of course is to increase the standards of living for all Greek people, but it is not only that — it is also necessary to change the whole state — and it is especially in this part of our program that we have even greater support from the Greek people, even conservative people come to us, and leftists come to us. They tell us, even if you manage to do even 10 per cent of the things that you have promised then that would make us really happy. In February 2015, the Greek government arranged a loan extension with its European creditors. I am wondering, how do you interpret this extension? We made an agreement to extend the financial agreement that existed before, but only the agreement, not the memorandum of understanding. Of course, this agreement, which we reached on February 20, includes a list of things that we want to do in the next four months. The list of things includes addressing — first of all — the humanitarian crisis, which was voted in principle today (March 18, 2015), in the Greek parliament. This involves several arrangements in order for the Greek people to be able to manage to pay their debts to the state, in a much easier way — without overburdening them. It also contains a lot of social and labour arrangements that we would like to be in accord with European law and in accord with the dictates of the International Labour Organization. Aside from all of this, we want to pass some other laws in order to change the nature of the state in order to be able to serve citizens in a much more effective and progressive way. All these measures are the minimum in order to manage the economy and to have it function again, and in order to be able to give some money to the market to increase demand a little bit in order to have a positive impact in the economy. Alongside these measures you will find proposals that will ensure that no Greek houses will be taken by the banks. It is something that happens in Spain and it is something that we definitely want to avoid. There are also measures that try to find solutions to what we call in Greece “red” loans, loans that people owe to the banks due to the past program. Now, they cannot pay back these loans. This is also a measure that will have a fiscal benefit. So, this is what we want to do in the next four months. Then, after the first four months we want to raise the minimum wage; first for the young and then gradually for the rest of society. We believe that all this is the minimum for a leftist party but it is the maximum program for the time being, for the next four months — and a few months after that. Of course, at this point, I should not forget our struggle and our determination to fight tax evasion and I would like to point out that we do not want to be the “good student” of Europe. We want instead to develop policies that make sure that will serve and increase the standards of living for the Greek people and will work to increase a new type of social service. 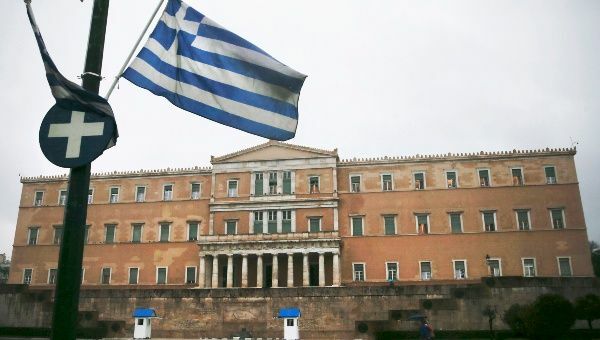 Moreover, I would like to point out that today it was the first time since 2010 that the law that was voted for in parliament — not only by SYRIZA but also from the parties of the opposition — was written in Athens and not in Brussels. So, that is one difference now. Now, we are determining the laws, we are writing them, and then we discuss it in Brussels. Not the other way around. So, this is one change. And, it is exactly this kind of change that annoys the conservative powers of Europe. The program that you are outlining is very interesting, including the timelines of four months to two years for the goals that you have mentioned. One of the problems that you may face is the patience of the Greek people. What are your thoughts on that? One can never be sure about the support of the people. But, there are good signs and this is due both to the behaviour of the people and also due to the work that we are doing. For example, the previous government had instituted a very unfair tax. It was a tax on property, specifically a tax on the houses of the people. The problem with this tax is that there is very little difference in the amount of tax that the poor and the rich pay on their houses. It is not a tax on income, it is a tax on property. We had promised that we would discard this law and we would replace it with another in order to tax the rich. However, even though we are going to discard this law and replace it, there were two payments of this tax that were due for the 2014 tax year and the people had to pay it now. So, what happened is that the Ministry of Economics made a call to the Greek people and said “please pay this tax now, and we will change it later” and almost everybody paid. This gave us the opportunity to cover E600 million and thanks to this money we managed to pay our obligations to the IMF. So this is an indication that people want to help. This is also something that we can see in polls in the media. Of course, you have to take into account that most of Greek media do not favour SYRIZA and do not support it. The next laws that this government, this parliamentary majority, will try to pass will serve as further indications that this government means business. For example, next week we will pass a law that will facilitate the payment of previous tax obligations of the people. We will give the opportunity to the poor to pay less taxes and in a more effective way. Also, as I said, in the next months we will also raise the minimum wage. We are currently studying how to do that. In the next month we will make laws that protect the houses of the people. We will take care of what we call here the “red loans”. Another thing that the people can see, and which shows that we are serious, is that the first time since the fall of the dictatorship we are demanding the payment of war reparations from Germany. Now, you are going to ask me, “Do we expect to get money from this source?” No. But, this demand serves as a signal and shows to the people that this government stands for their rights, and for their interests. On the subject of reparations from Germany, media reports suggest that the Greek government is prepared to seize German property in Greece, including the Goethe Institute and the German Archaeological Institute. How serious is this proposition? What you refer to is a decision of a court in 2000 which says that it is possible to pay reparations to the families of those that were massacred in a specific Greek village through the seizure of specific buildings in Greece that are owned by Germany. But, these are only three buildings — one of them is the Goethe Institute. So, the law gives us this power. However, our purpose is not to forbid the functioning of the Goethe Institute. We would just take ownership of the building as a reparation. For example, this is not something strange. The French Institute in Greece, for example, for the past 20 years, was not in a building owned by France. However, the issue of war reparations is more serious than the Goethe Institute and a few other buildings. The war reparations are a very large amount of money which cannot be covered by a few buildings. For example, 40 per cent of the chromium needed by the German Nazi army (at that time) was taken from Greece. The same is true for aluminum. Greece covered 25 per cent of the needs of the Nazi army in aluminum. And, also that is the same for nickel. Of course, there is also the gold of the Bank of Greece, which was stolen by the Nazis. And, there is also another occupation law which has not been repaid by Germany — during all these years after the war. Of course, we know that it is very difficult to get back the war reparations. However, the fact that we are trying to get them back means that this is not over. I would like to say that there is another country that — during the last few months — decided to demand war reparations from Germany, and that is Russia. I think this is a bigger problem. Reports indicate that Germany's attitude toward Greece can have the effect of pushing Greece closer to countries such as Russia, or may impact its relations in NATO somehow. How does Germany's conduct impact Greece's foreign policy? I believe that Germany behaves disorderly also within NATO. Germany also drags other countries in this behaviour. Of course, as Greece, what I can say is that we have relations with Russia, Syria, Turkey, Italy and Spain, for example, and our relations with these countries do not concern Germany. It is necessary to have relationships with many different countries in the world. There is a large Greek population that lives outside of Greece. So, it is a necessity for Greece to have a relationship with these populations. On the issue of the crisis in the Ukraine, this brings very negative and bad memories to us. I think that the crisis within Ukraine was an opportunity for the Nazis to get their revenge for the results of the Second World War. We have to remember that Ukraine consists of not only, let's say, simple right-wing parties but it also contains far-right and Nazi elements and parties. From the first days of the crisis — when they managed to form a government — [they attempted] to forbid the use of any other language in Ukraine. This is not acceptable to us because there are 100,000 Greeks there. They are not only immigrants, there are also Greeks that originate from that region and have historical ties with that region. Hence, of course, this is the main reason that we cannot agree with the policies of Ukraine and the policies of Germany, which supports Ukraine. On the other hand, of course, that does not mean that we agree with an “expansionist Russia” — if there is an expansionist Russia. We want stability and peace in the region. The same principles apply to our position in NATO. To be more precise, the behaviour of Greece in NATO and the initiatives that the Greek government takes there will not be dictated by Germany. It will be Greece that decides what and how to develop policies within the NATO framework. It is also important to remember that Greece is the only country in the region — of the eastern Mediterranean — that is stable and that does not contain any Islamist tendencies. In contrast, for example, there is Turkey and this is something that everyone should remember. It is important to remember that Greece has not changed much for the better through its membership in NATO. Instead, Greece has suffered quite a lot. We have suffered a dictatorship which happened with the tolerance of NATO and we should not forget that another reason that Greece suffered was the Turkish invasion in Cyprus, which was an invasion of another NATO member for which there were no consequences within this organisation. Now, in order to come back to our relationship with Germany, unfortunately, Greece is the greatest source of imports of weapons from Germany. Now this is the reason why the minister of defence, Panos Kammenos (founder of Independent Greeks), and the alternate minister of defence, Costas Isychos (member of SYRIZA) have studied contracts that were worth millions of euros. Contracts between the Greek government and German companies did not establish the interests of Greece. In contrast, they offered any kind of advantage possible to the German companies concerned. We are talking about contracts for submarines, helicopters and various types of weapons. So, if I were to describe our relationship with Germany, I would say it is an unbalanced relationship. It is important to remember that in Germany, Greeks are presented as corrupt and as lazy. However, this is quite unacceptable if one considers that it is German companies that are the cause for corruption in Greece. This is something that can be quite easily checked by putting some attention on the decisions of some German courts that have also convicted specific persons that are responsible for corrupting members of the Greek government. One of the examples is the head of Seimans in Greece. However, even though our government has asked for this person to come to Greece to participate in a trial, unfortunately Germany does not give us the opportunity to put him on trial. He remains in Germany at the moment. So, to conclude, I would like to say that we love Germans as a people, all people are sisters and brothers, but governments are something else. When we talk about governments it is important to remember that this Greek government is going to take into account first, the interests of the Greek people, and then we will discuss other things. On the topic of restructuring the organisation of the government. Could you tell me how reorganisation may impact upon the relationship Greek people have to it, and what SYRIZA's long-term vision is? First of all, we are talking not only about the reorganisation of the government, but of society as a whole. The reorganisation of the government has already begun and has moved at a fast pace, and I think that it is working very effectively. For example, it is the first time that the government in Greece has unified all the ministries that take care of the issues of energy. The same applies to the ministries of social affairs and infrastructure and also the ministries of interior, and other types of services and ministries that take care of the structure and functioning of the government. So, now citizens can find everything in one spot and that is very important. Another example of how we reorganised the state is through transferring public employees from places where there is a surplus of public employees to places where there is a deficit of employees. This is something that is really simple but which has not happened before. We are talking not only about the reorganisation of the government , but of society as a whole. In addition, our target is to improve the quality of education that is provided by the state. This is why we will employ more teachers and professors. Another example of how crazy the previous governments were was the fact that they fired 6500 people in December and they were planning to employ 15,000 this year had they been re-elected. Now, this is crazy. Why should you fire 6500 in order to get 15,000 afterward. The simple answer is that they were planning to hire even more of their political friends. Of course, we will not do such crazy things. We will simply re-employ the people wo were fired. We will not do this because these people are our friends. These are people who were hired during other governments in the past — when SYRIZA had 3-4 per cent of support. However, we re-employed the fired people because it is necessary and because it is the most effective way for a state to function. Over the years, Greece has become known as a "gateway" to Europe for migrants arriving from the Middle East and Africa. Could you describe the problem and the way in which the new government will try to deal with it? Well, the first thing one has to remember is that it is not only Greece but also Spain and Italy that have this problem. These three countries are the gates of entry in Europe. Spain has some areas on the southern coast of the Mediterranean that border with Morocco, and they are able to contain the problem there. Italy has Lampedusa, which is now of course overcrowded and there is a huge problem there. The distance between Italy and the continent of Africa is also quite large and thousands of people have drowned there, and this is something that is quite unacceptable. However, it is Greece that has the longest maritime borders with countries that are out of the EU. It is not only that the borders are very long, it is also that a lot of the islands are very close to each other. Now, this makes the problem for Greece even harder. Also, due to the fact that Greece is in the eastern Mediterranean means that it receives the largest amount of war refugees. We think is that Greece, Italy and Spain should not be responsible alone for war refugees. It is a problem that all of the countries of the European Union have to deal with. Unfortunately, countries of the centre of the EU do not accept this demand from the countries of the periphery. Through the Dublin II agreement, they say that they do not accept any immigrants that have been through the south of Europe, in the periphery of Europe. So, the countries in the periphery of Europe serve as sole deposits for the poor people from the Middle East, Africa and South Asia. Of course, if a lot of people gather at places where there is already crisis — where there are no jobs available, and for other reasons, and if all these people have nowhere to stay, nowhere to work, they cause problems where they stay. That is what happened to Greece — we received huge numbers of war refugees and economic immigrants who were concentrated in Athens, and transported to Athens from the islands. There were a lot of problems, especially in the centre of Athens due to these conditions. This was something that a lot of wicked people have decided to exploit. Of course, the greatest example is of Golden Dawn, which is a Nazi party that has grown mainly by accusing the immigrants for everything that is bad. But, it is not only Golden Dawn, it is also the previous governments that developed the idea that these problems can only be dealt with through policing. They took measures that made Greece resemble a police state. One example is the awful and unacceptable concentration camps for immigrants that they created, one is Amygdaleza. These are places where people who have not committed any crime are imprisoned. The previous governments made sure that there would be huge delays in providing them with the right to have asylum rights. So, the aim is not to have any concentration camps. The concentration camps will close and we have already started the procedure for the abandonment of them, and their evacuation. Our policies are completely different. The aim is to develop a very fast procedure in order to obtain asylum rights for those who want to stay in Greece. We also make sure to facilitate the return to their countries for people who want to return; not those who don't want to return to their countries... Of course, there is a very small minority who have done something illegal. We are deporting them but we always make sure that the deportation happens in humane conditions. And, of course, this is a very good opportunity to use and apply European Union funds. This is a common problem for the whole of the EU. This is where these funds would be most welcome and would be applied in the most efficient way. In order to develop sites for the reception and the humane treatment of all war refugees, in order to establish very fast procedures for obtaining the necessary papers to be able to enter Europe, for asylum, and for making them legal citizens of Greece or Europe who can contribute to the economy. Finally, how do you describe the relationship between southern Europe and northern Europe, and what does SYRIZA's electoral victory represent in this relationship? Concerning the relationship between the north and the south of Europe, I have to say that it has returned to the era of Charlemagne. It is as though there is a Holy Roman Empire, which has expanded all over Europe except for the UK. What I am referring to is the dictates of austerity inspired by Protestant principles. It has imposed itself on the Franco-Roman and Greek-Roman world, who have an entirely different culture. The culture of the south gives priority to intellectual balance, whereas the culture of the north talks more about money and the hunger of the economy. However, the irony is that all this comes from the country that was one of the most bankrupt during this century. Of course, I am talking about Germany, which managed to get huge debt relief in 1953, from the exact countries that it had destroyed a few years earlier. It is not only that, it is also the EU loan that it got in 1990 when Germany reunified, which was for solidarity and support. We have to preserve this different lifestyle in the south. We should not feel guilty for this different lifestyle. I have to say that after the great socialists, like Francois Mitterrand and Felipe Gonzalez, all socialist parties in Europe turned into social democratic and sociall iberal parties, and all the government s became either Christian Democrat or Social Democrat, and they were entirely controlled from Germany. These policies have been enforced all over Greece, Spain, Portugal, in Italy — maybe Spain is a little bit different because they did not have a reduction in wages, but the banks were allowed to take the houses of the people — and of course in Ireland, which might be a little different due to the more Anglo-Saxon banking system that they have, but there are similarities as to the position of austerity there as well. Now, it is definite that these conditions are not sustainable. SYRIZA was the first “bang”, let's say, the first explosion in Europe. It could have been Spain. There were the movements of the squares and Indignados there. However, they did not have a party that could propose something different, and could immediately come to power. So, that was the difference in Greece. Greece has SYRIZA and SYRIZA was able to make a proposition and win the elections. We are grateful for the inspiration that our Spanish comrades gave us, and we hope that we will also serve as an inspiration to them. We are quite hopeful that in December the new Spanish Podemos party will manage to take power in Spain. If we manage to withstand the pressures applied by the EU until September, I think that the victory of Podemos will be the catalyst that will help us not only survive but will help us change the EU. If Spain — which is the fourth-largest economy of the Eurozone — changes, Italy will also change, it has already started changing. Of course, Portugal and Ireland — with Sinn Fein (which is already coming first in the polls) — will come after and they will help us even more. So I think this is the start of a process that will give the opportunity for dreams to take revenge — to say it in a more poetic way. Or to — in order to be more pragmatic, let's say — in order to build a truly united Europe.This is not something only people from the left have considered. This is the aim, a truly united Europe, instead of a Europe dominated by the reasoning of austerity, that serves to appliy pressure to countries to maintain its awful economic conditions.